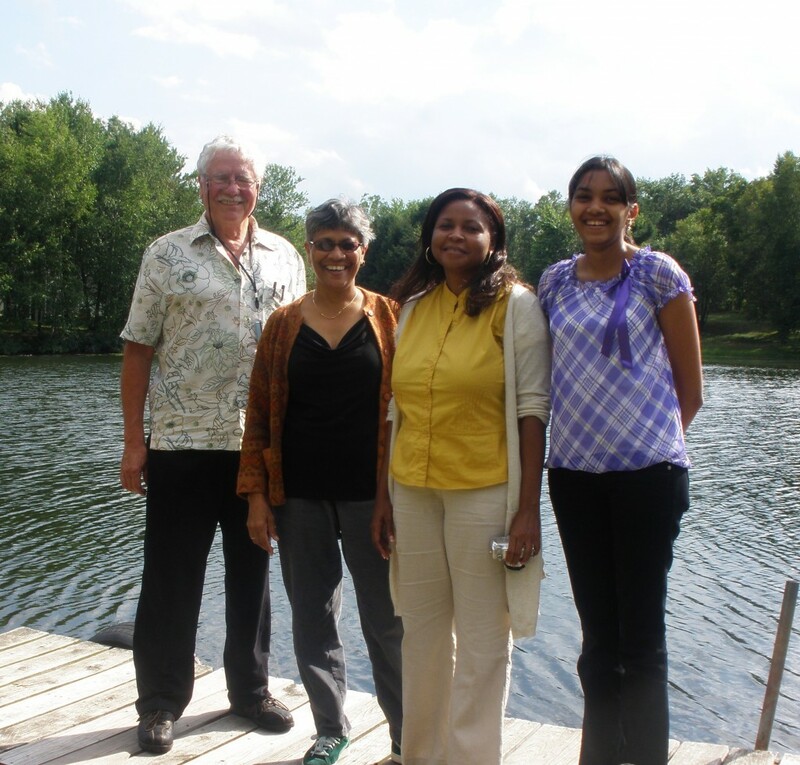 Ms Ali-Beharry and other members of EMBD staff seen with Dr. J. David Stanfield at Legend Lake, Wisconsin, USA. The team has documented their recommendations based on the experience and knowledge which they obtained at this premier Land Tenure Centre and it is the intention of the EMBD to implement these practical and worthy recommendations as far as possible. 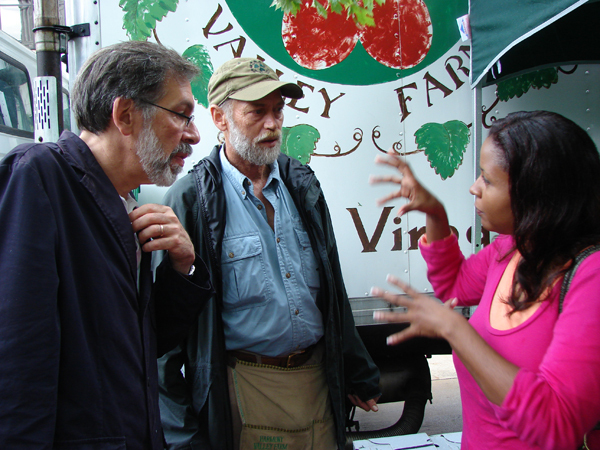 EMBD Director Karen Bridgewater chats with Professor Harvey Jacob of the Land Tenure Center, Wisconsin and a farmer. This entry was posted on Tuesday, September 29th, 2009 at 5:35 pm and is filed under EMBD News. You can follow any responses to this entry through the RSS 2.0 feed. Both comments and pings are currently closed.